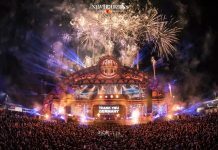 Home Edm News Djakarta Warehouse Project 2017 drops massive Phase One Lineup ! 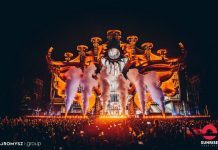 With Indonesia at the epicentre of the electronic music boom in Asia, the Djakarta Warehouse Project 2017 has established itself as one of the world’s leading dance music events. 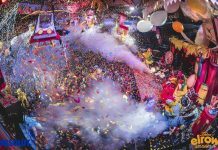 Welcoming a record-breaking 90,000 festival-goers in 2016 alone, it became the largest two-day event in Asia last year. Now gearing up for its 9th edition, the festival returns with a jaw-dropping lineup of superstar artist set to grace the stages of the JiExpo Kemayoran on December 15 & 16, 2017. Armed with a Grammy for his outstanding sophomore album, ‘Skin’, Australian superstar DJ and producer, Flume is one of the first to take to the stage this December. Joining him will be none other than the Godfather of electronic music,Tiesto, alongside fellow countryman R3HAB, who last performed the Indonesian mega-festival in 2015. 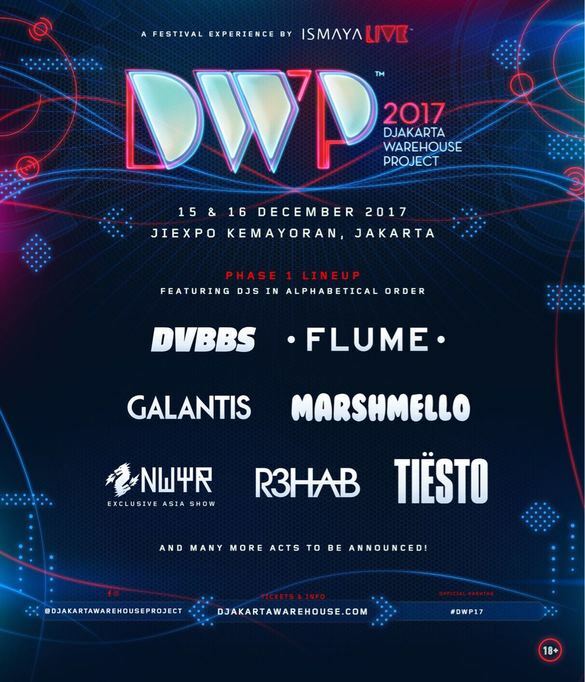 The ever enigmatic and always explosive Marshmello joins Dutch duo NWYR, the latest trance project from the boys behind W&W, while Swedish electro house icons Galantis and Canadian heavyweights DVBBS are both set to make triumphant returns, following unforgettable performances at DWP 2014. 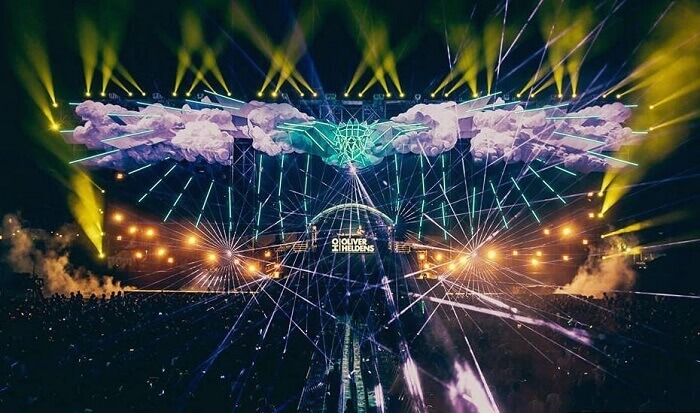 Watch Djakarta Warehouse Project 2016 aftermovie below.